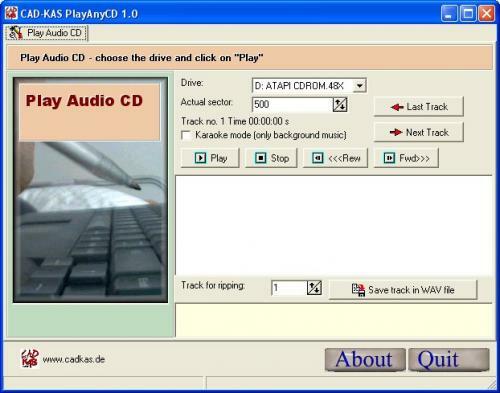 PlayAnyCD helps you to play and ripp even scractched music CD's on your PC. If your CD drives can detect the CD your chances are good to play it on your PC! You can save the tracks as WAV files. The program has a Karaoke mode in which you hear only the background music. 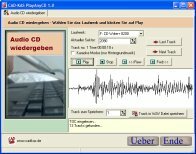 You can burn the saved wav files on a new CD, so you have a new and clean audio CD you can play in any CD player without any problem. If you want to convert between the music formats mp3 and wav and back you need MP3 and WAV Solutions.